Legendary Original Bones® Swiss Bearings are the optimum combination of Bones Skate Rated™ design and Swiss precision manufacturing creating the standard by which all other bearings are measured. For more than 36 years, Swiss Bearings have been preferred by the world's top professional skaters. 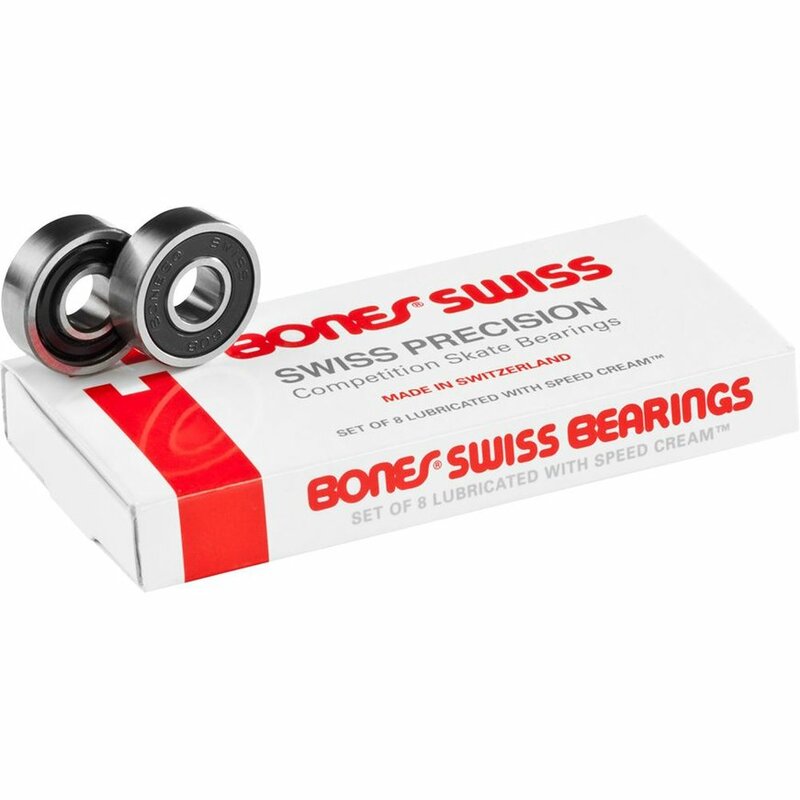 Proven, professional competition-grade speed and durability make Bones Swiss normally last several times as long as ordinary ABEC rated bearings.